Charlie Duckworth builds a pair of Rock Island automobile box cars. Click on any image here to view a larger size. Ron Von Werder, owner of Rocket Express, offers two Rock Island (RI) automobile boxcars. Both HO scale kits are flat castings and assemble easily. I prefer using Westerfield’s RI decals for the reporting marks and numbers as his artwork looks closer to the Rock Island prototype lettering than what is supplied in the kits. 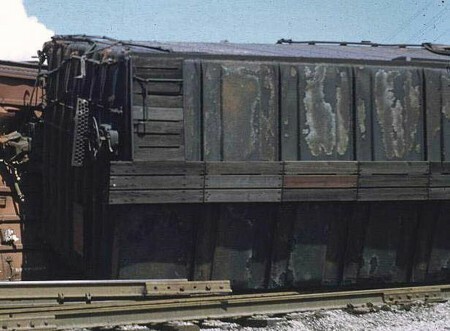 The RI-1 and RI-2 Rocket Express kits represent 40-foot automobile box cars that were built by the Bettendorf Company in 1930 and lasted in some numbers until 1959 with the 160250 to 160599 series cars (totaling 350 cars) built with end doors. The January 1943 ORER lists 343 cars in service. 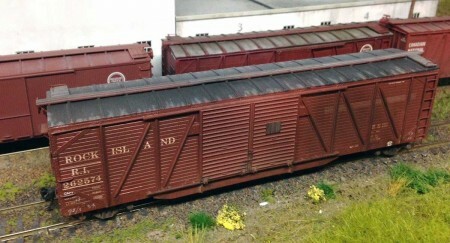 The RI-3 and RI-4 kits represent 50-foot automobile box cars that were built by the Standard Steel Company in 1930 and lasted in some numbers until 1959 with the 264000 to 264149 series cars (totaling 150 cars) built with end doors. There are 149 remaining in service in the January 1943 ORER. Assembly of these kits was straightforward. I used my son’s Lego blocks in the four corners for added strength and surface area for gluing the ends to the sides as you can see in the image above. 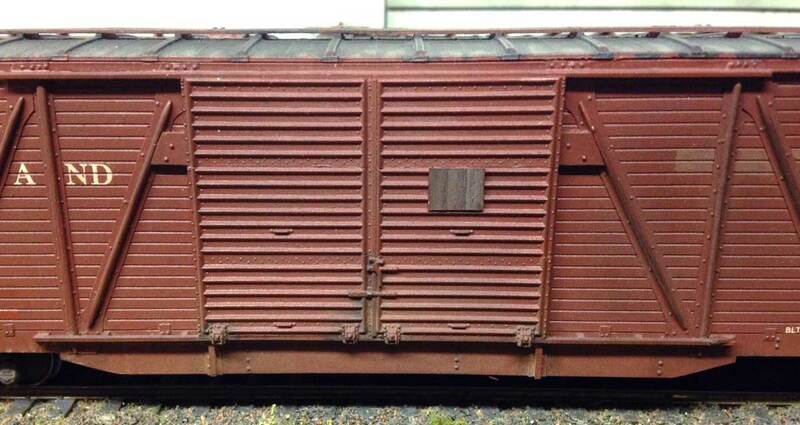 Both models were painted using Floquil Box Car Red with Dullcote sprayed over the decals. 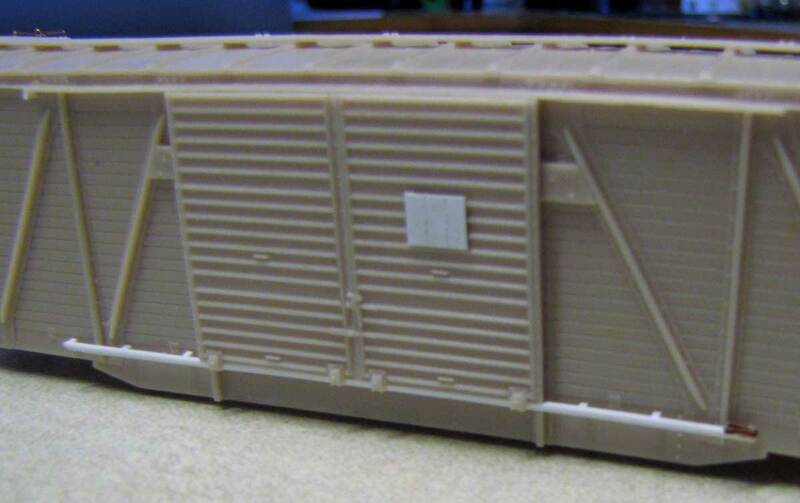 I do add a drop or two of the base color of the car body in the Dullcote to tone down the whiteness decals. The placards and door guides were replaced with Evergreen styrene. Image from the Charlie Duckworth Collection. I found this nice image of a prototype roof and wanted to reflect the appearance. The peeling car cement was replicated by painting the patch of ‘cement’ a dark gray. After it sets for a day, I go around the edges with a light gray oil paint. The light gray sets for a day and then a dry soft brush is used to lightly brush over the two colors and blend the edges. 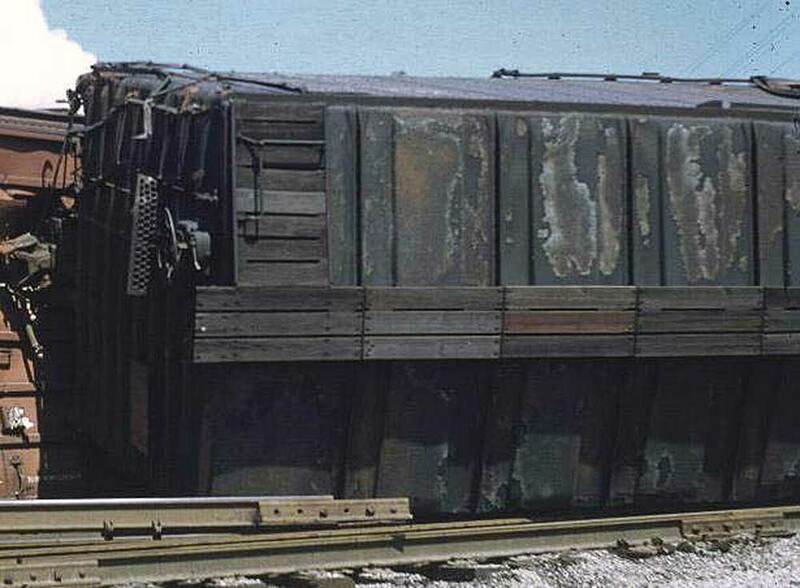 The 50-foot car has had the ‘AUTOMOBILE’ stenciling painted out by the rip track to denote a car placed in general boxcar service. 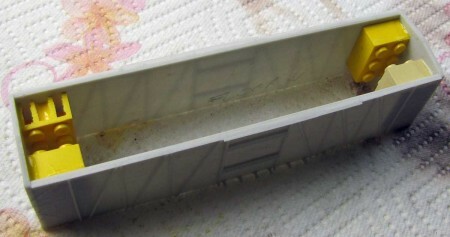 Chalk marks were applied to both models using a white artist pencil. These kits make nice additions to the home layout. Charlie, do you know the heritage of the car with the segmented running boards in your photo? 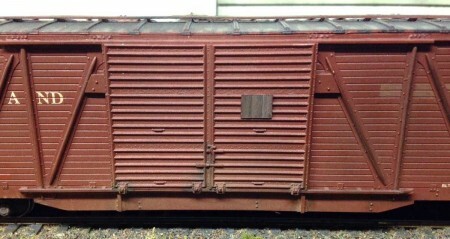 The only car(s) I am aware of are the Hew Haven’s 1937 ARR 60-foot boxcars. I too have built these models. Ron patterns and casting are excellent and I have long wished he would do some other mid-western Single Sheathed cars. There are several MILW, CNY, SL-SF, MP, etc yet to be done. Charley, I really like what you did with the roof.